Transferring in from a larger university, Biology major Katelynn Leavey was greeted by the endless academic and extracurricular activities available to her at Castleton. 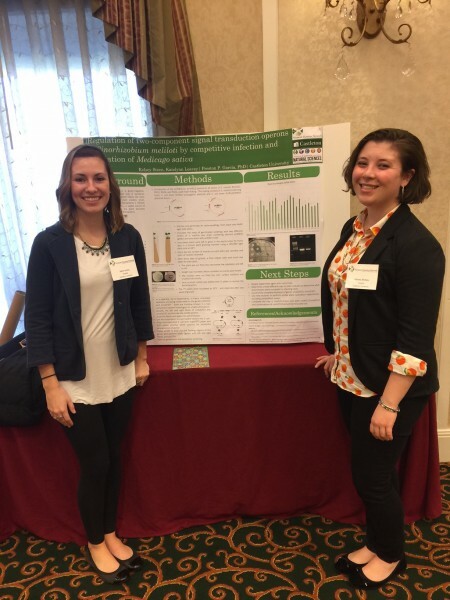 With plans of furthering her education and going on to become a Physician Assistant, Leavey used her time at Castleton to fine tune her skills in the sciences and stronger develop her passion for Biology. As a student she participated in faculty-student research opportunities, including a trip to New Orleans for the American Society of Microbiology, serving as an undergraduate researcher for Professor Preston Garcia, and working as an Emergency Department Technician.